I'm sick to death of self proclaimed business gurus attempting to crystallise their "expert" opinion of themselves, capping off their mediocre careers by writing a book. I find it an offensive waste of my time when they waffle on for 13 hours about their opinions without any real authority on their subject, but hey, if you're driving for hours on end you might as well listen to something semi-educational right? This book is DIFFERENT. 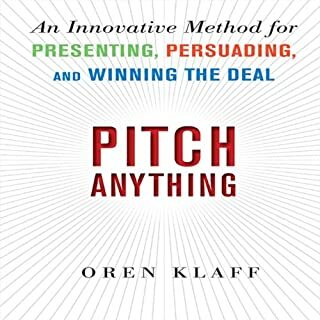 Oren Klaff has put together a fantastic book that will change the way you perceive social situations and help you pitch your ideas successfully. He narrates it himself and keeps you 100% captivated. 1. Listen to it at regular 1x speed because Oren doesn't waffle or talk to you slowly like you're retarded. Oren respects your time. 2. Pause at times to take notes or contemplate some awesome new concept. You may even tell your spouse how interesting the book you're listening to is. 3. Listen to it over and over again, because there is so much useful information that it may take a while to put it all into practise. 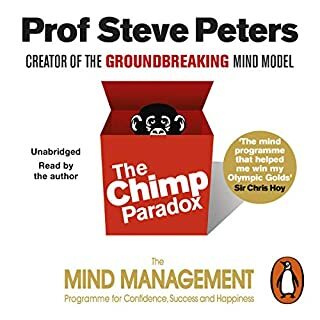 There are tonnes of books with 5 star reviews on Audible that don't deserve them, this book stands out as one that really deserves a 5 star review and it completely worthy of your time. The benchmark guide to marketing and PR, updated with the latest social media and marketing trends, tools, and real-world examples of success The New Rules of Marketing & PR, 4th Edition is the pioneering guide to the future of marketing, an international best seller with more than 300,000 copies sold in over 25 languages. 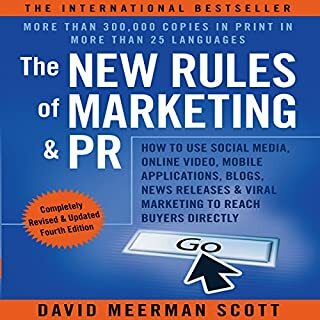 It offers a step-by-step action plan for harnessing the power of modern marketing and PR to communicate with buyers directly, raise visibility, and increase sales. I read this book on the advice that it would help me set up a social media strategy. It did cover a few social media platforms but omitted many of the newer big ones making me question the "new" in the title. Overall it didn't help me set up a strategy at all. I still don't know whether I should blog or tweet, put photos up on Pinterest or Facebook, what content should go on my website's news feed and can I cross post? Overall this book just offered a basic intro to some of the platforms and I'm no closer to having a solid social media strategy. Six Disciplines Leadership Centers are dedicated to helping small businesses achieve and sustain success. 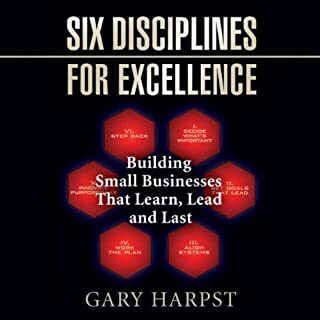 Six Disciplines for Excellence provides six fundamental business principles that are specifically designed to help small businesses move beyond momentary success to attain enduring excellence. This audiobook is not for those who are looking for a quick fix. Six Disciplines for Excellence is a long-term fitness program, not a fad diet. Not suitable as an audiobook. This book reads like a textbook rather than a story. It is broken down into numbered lists and sub lists e.g. "Section 4a" and I found it very hard to follow. The book also makes excessive use of the word etcetera to the point that you can tell when they're going to use it and speak along in unison. The content feels very dated. They make a point that you "should" start thinking about getting on this new thing called The Internet and they have to spell out what IT stands for. 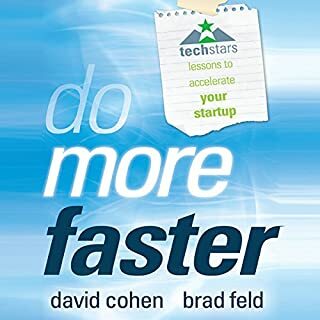 Worst of all the book culminates in a sales pitch about how good the (paid for) six disciplines software is, yet it sounds like a sub-par version of Trello (which is free by the way). I regret wasting my monthly audible credit on this book and I wish I could get my 4 hours back. I call shenanigans on all of the 5 star reviews this book has received. This book is a bit of a let-down. 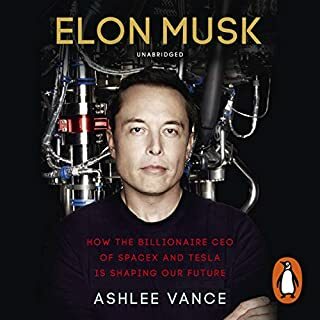 You will learn a bit about Elon and his companies, but it will sap 13 hours of your life away and you won't be a better person for it. You'd think there's so much you can learn from Elon Musk, but this author didn't really make much effort to gather any nuggets of insightful information, just snippets of hearsay from sources that have worked around Elon. Listening to the book feels kind of perverted because it's written in a way where the author digs up lots of dirt on him the way a trash magazine reports on the secret lives of celebrities. The Author even gloats mildly about his tenacity in pestering Musk until he agreed to let him write the book. Don't bother listening to this one. 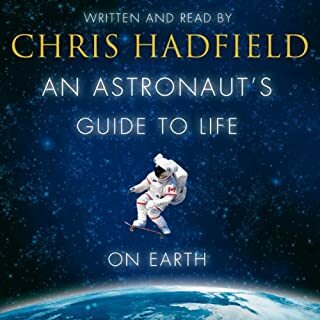 An Astronaut's Guide to Life on Earth is an inspirational memoir of space exploration and hard-won wisdom, from an astronaut who has spent a lifetime making the impossible a reality. Colonel Chris Hadfield has spent decades training as an astronaut and has logged nearly 4,000 hours in space. During this time he has broken into a Space Station with a Swiss army knife, disposed of a live snake while piloting a plane, been temporarily blinded while clinging to the exterior of an orbiting spacecraft, and become a YouTube sensation with his performance of David Bowie's ‘Space Oddity' in space. Before reading this book I already had a lot of respect for Chris and I still do. He comes across as an extremely focussed, dedicated and successful man so I was eager to hear how he managed his relationship with his family. While Chris pays every respect to his wife and children for their countless contributions and sacrifices, I found myself a little disappointed that he found no elegant way to fulfil his family obligations while striving to be the best he could be in his professional career. Sure, he did the best he could and made sure his family knew they were important to him - whenever he had the time. He planned thoughtful gestures well in advance of away missions to try and make up for his absence. In a nutshell, he could have quit at any time but his career always came first. Anything less and he would never have become an astronaut. I still can't decide whether that's right or not. It's a lot to think about. Simply the most endorsed start-up book ever written. Hailed by the academic community, New York Times best-selling authors, as well as established entrepreneurs. If you cannot afford to fail, this is the one book you want to listen to. 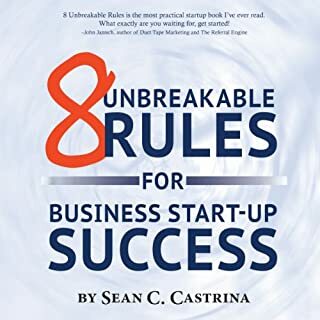 Written by a 20-year serial entrepreneur, in a straightforward language with key takeaways and action steps, this book guides you through the rules to follow for starting a successful business. I downloaded this book after hearing reviews that it was an essential read. Although I got a few good ideas from it, it's pretty basic and aimed at people in the beginning stages of a business. My main gripe is that it's best suited to regular businesses like restaurants and not for lean tech startups. It preaches a lot of non-lean traditional advice that buries you in planning before you even begin. 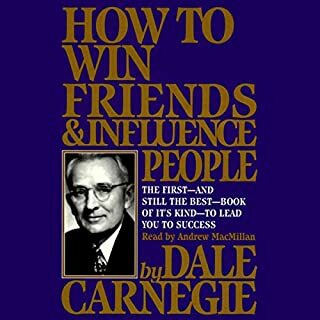 There is a lot of great advice in this book but some of the tactics are manipulative and I feel that most people would see right through them. The main saving grace is that you must be genuine in caring about others, otherwise this book will be a waste of time. 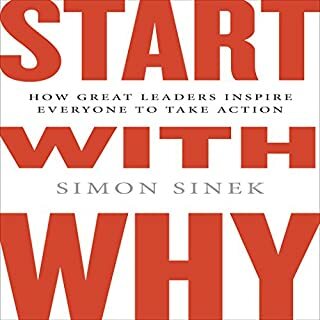 The book gives a number of success stories then attributes their success with the fact that they started with "why". I'm dubious that their success is based on just this and not the myriad external factors and some luck, but overall I think there is a good argument that we should start out with why. I am glad I read the book even if its logic isn't entirely sound. It is a cold, hard fact of business life that most startups fail. Even many of those entrepreneurs who ultimately succeed have stories of personal challenges, unsuccessful companies, and difficulties along the way. The founders of TechStars, a mentorship-driven startup accelerator, have worked with entrepreneurs and companies over the past twenty-five years, and have seen a number of the same issues come up again and again. This book is made up of short stories, each with an overarching lesson. Some of the stories are only relevant to US startups like incorporating in Delaware, but most of the info is universally useful. This book taught me a way to understand how the mind thinks and reacts to situations. This model is very fitting of my own experiences and helps me understand the way people react when they get angry or just rubbed the wrong way. Although this is good information, it should have taken no longer than 30 minutes to explain. The remaining 8.5 hours of this book was tedious and redundant.